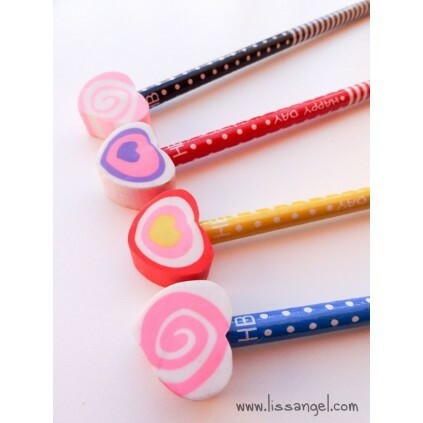 Fill your life with hearts with original pencils with a heart-shaped eraser. Choose between four different models, each with its tonality and beautiful design. The color choice is based on the color of the pencil, not the eraser. Our repertoire of original pencils with built-in erasers is already very large. 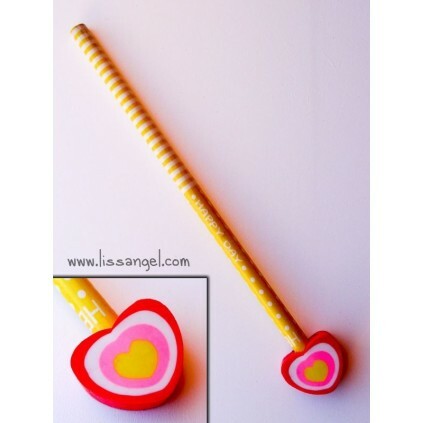 If you like hearts, these pencils are your choice. Choose between 4 models with different designs and colors. 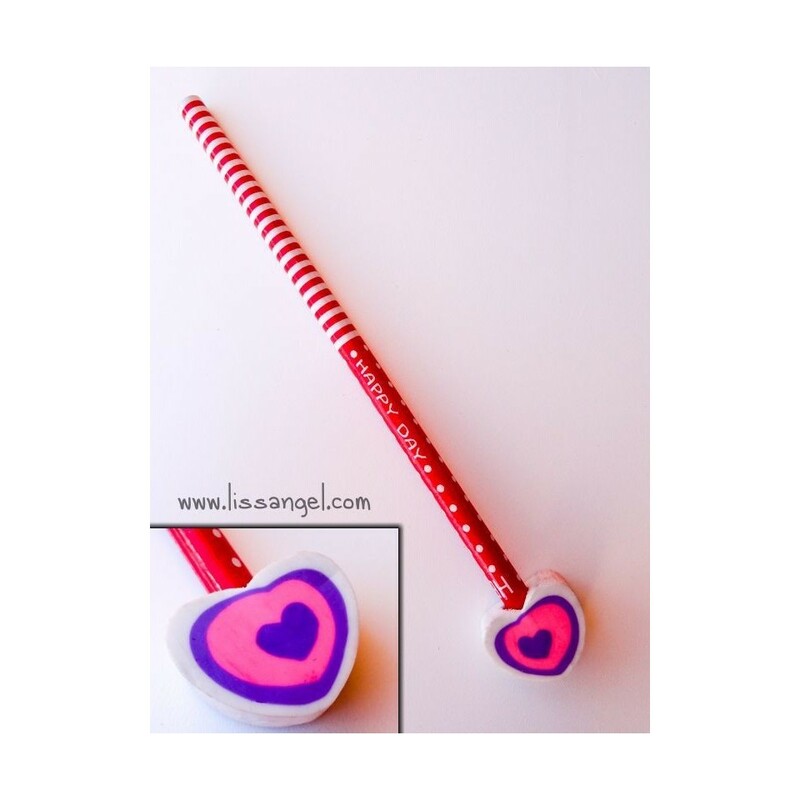 Ideal to carry in your pencil case! 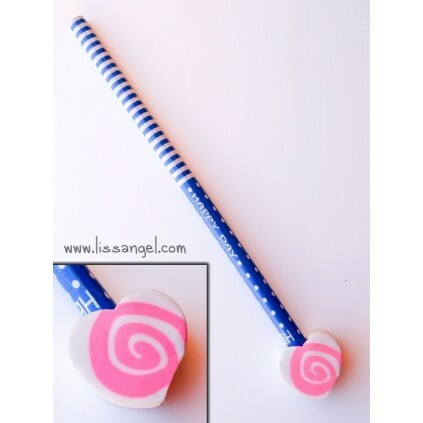 The oversized eraser will last you a long time. The choice of color is based on the color of the pencil. Do you feel like a rock star? This original stationery pack is perfect for you. A pencil that simulates the strings of a rock guitar and the two ends are erasers. Available in four colors to choose from. 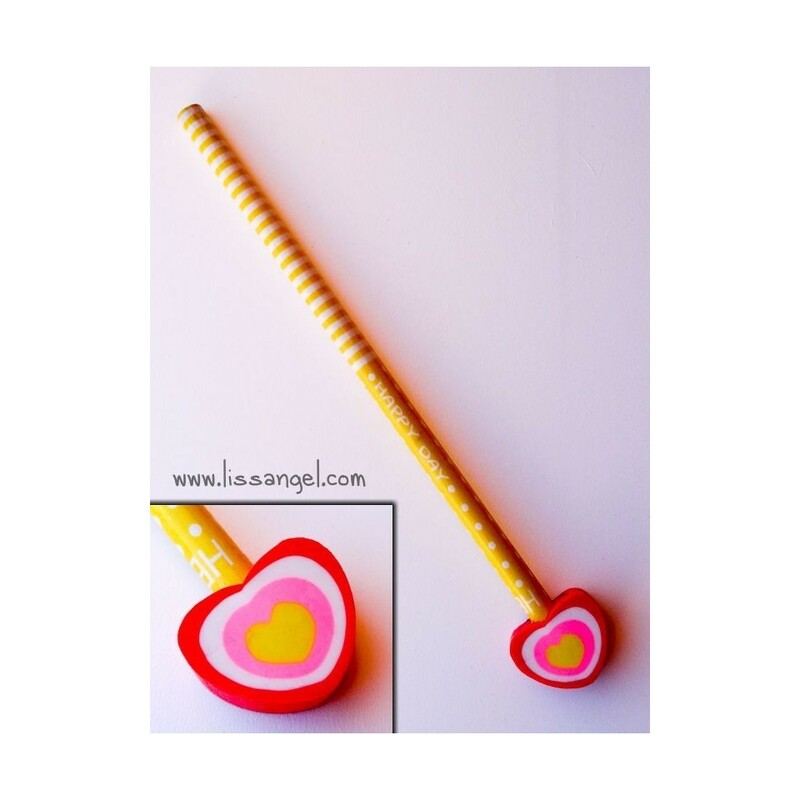 Those cactus lovers are in luck, you can get this original cactus-shaped pencil. Simple and beautiful. Do you like our beautiful stationery? Happy rainforest animals have arrived to bring to you some fun! These original pencils have at one end a beautiful eraser with animal form, to choose from between anteater, chameleon, toucan and raccoon. 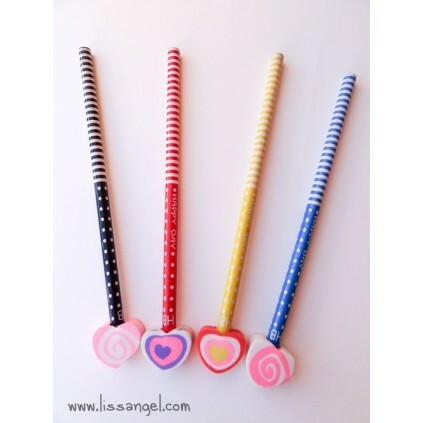 Pencils ideal for children! 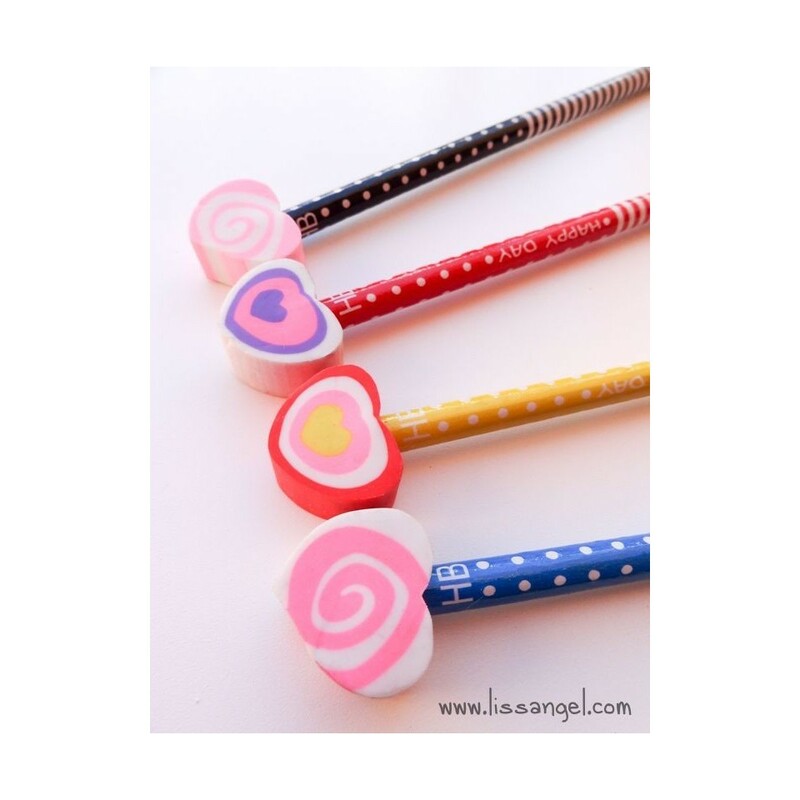 They will love the "Happy Day" pencils collection. 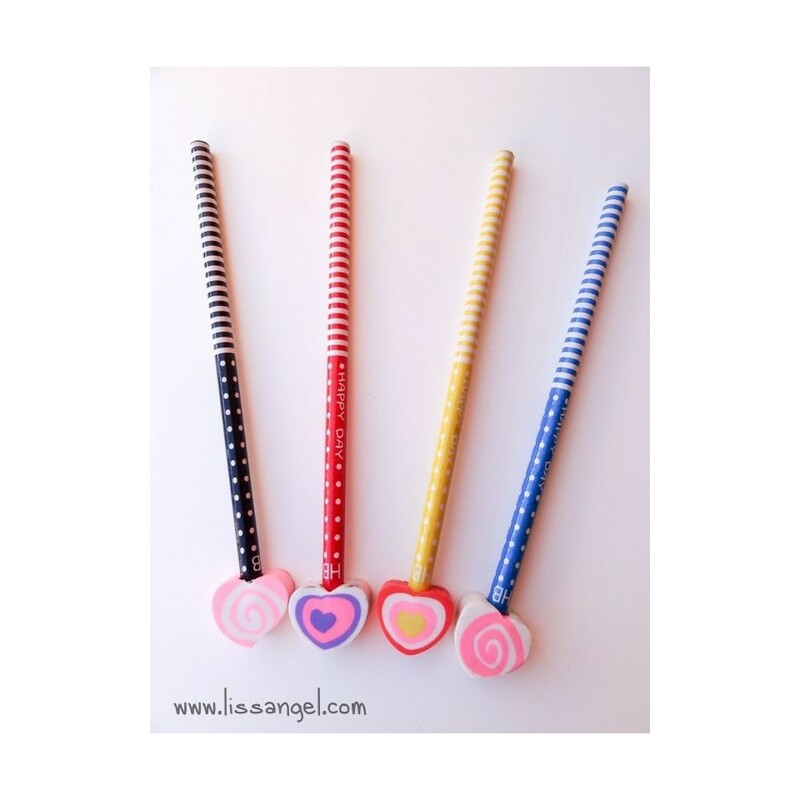 Have you seen this model of pencils with erasers in the shape of a frog or fish? Choose your favorite and collect them.